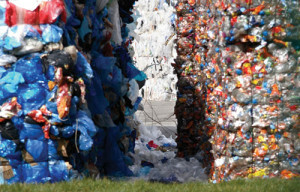 The British Plastics Federation (BPF) announced that its upcoming seminar, Recycling the ‘Unrecyclable’, is set to take place on June 2 at BPF House in London, the UK. This seminar, which is aimed at middle and senior managers from all parts of the plastics recycling supply chain, will present new recycling technologies as well as an examination of potential solutions when recycling may not be the answer. The seminar will begin with a look at the current situation, as well as a “reality check” on the current recycling stream in the UK where Keith Freegard of Axion Recycling will contrast the official reported tonnages with a “closer to the coal face” slice of reality. The seminar will also see the launch of a brand new process, developed by Impact Solutions, to separate polypropylene (PP) and polyethylene (PE). “Whilst it is perfectly possible using current technology to separate PP from PE, the problem is that the cost of doing so is in most cases so prohibitive and the cost of sorting can work out as more expensive than the value of the recovered material,” said Kevin Ross, Managing Director of Impact Solutions. The company has patented a baffled oscillation separation system nicknamed “Boss”. The process uses oscillatory baffled reactor (OBR) technology, which at a basic level involves shaking the material in a water bath in order to separate PE and PP to a high level of purity and for a fraction of the cost incurred by using traditional methods. Other presentations will come from cleaning product manufacturer, Ecover, who will discuss how they were able to use plastic collected from the oceans in packaging, as well as Dupont who will look at how the use of compatibilizers can help to facilitate an overall increase in the amount of plastics that can be recycled.